Make this 5 bedroom beautifully upgraded Royal Gardens town home unit your next home! Take a look at the lovely kitchen, double-car carport, first level guest room and much, much more! PLUS…. there’s more! 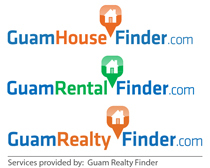 Location doesn’t get any better than this… minutes(closer to seconds) to Tumon Bay. surveillance, on-site management, beautifully landscaped grounds, very active and progressive board of directors and more! Right priced at $415k. Low common area fee too! This unit will move fast, we would love to help you make it your new home.